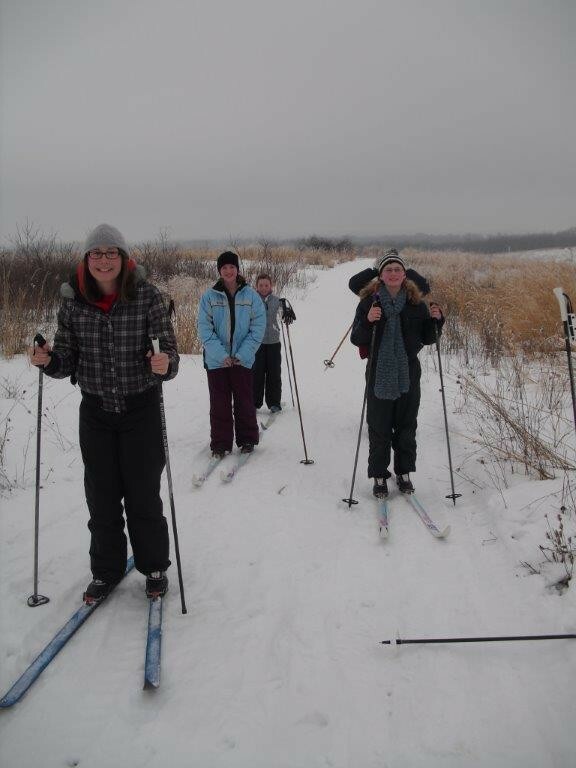 Join Byron Forest Preserve in a winter fun event guided cross country ski outing. Enjoy miles of trails and nature in the beautiful winter weather during this 2 hour, guided event. The cost is $5.00 per person. Advance registration is required for these guided cross country skiing programs by calling 815 234-8535 ext. 200. Cross country skis can be rented during normal Jarrett Prairie Center hours. Also please note that the Jarrett Prairie Center also has a designated public sledding hill located next to the center and hot chocolate for sale as long as there is enough snow to cover the slope.